Got parcels ready in case I see Meaty*. Swimming in afternoon returning early then acting as Pall-Bearer for Maori Boy. Small walk in cool of evening. In morning told could go on ??? party then trip cancelled – gave ??? to one of the other boys for Meaty. No swimming today. Short walk early evening. Today sent parcels to Mum & Marg**. In afternoon received mail from N.Z. written end of May. Swim during afternoon. Filling in evening playing cards. Change of guard personnel – fit men returned to base – graded men from Helwen ??? taking their places. Received another needle for typhus – second one – ??? getting stronger each injection. Did not go swiming playing cards instead. Another ordinary day swimming etc. In evening pictures at Conv. 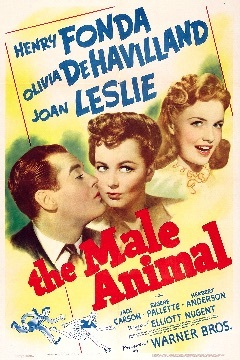 Depot :- “The Male Animal” starring Henry Fonda – really good show. On returning went on duty. 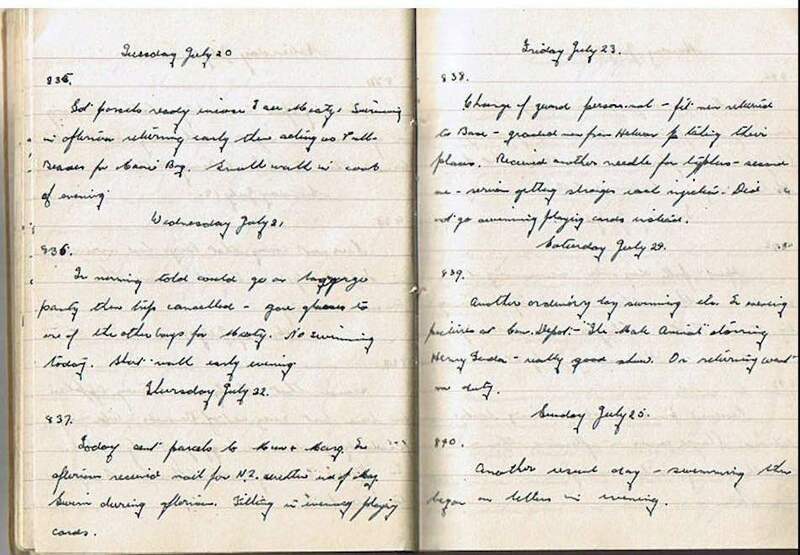 Another usual day – swimming then began on letters in evening. * Meaty – I believe “Meaty” refers to Captain Garnet(t) Meatyard. With my grandfather having been raised in the port town of Lyttelton and his father having been captain of a ship, its very likely Captain Meatyard was an old friend and was likely a senior officer on a ship at the time.